Student Learning Assistants are the CLE Tutors. They provide academic learning support for students, which includes tutoring students, performing other learning support duties, and assisting with the daily operations of the college’s learning centers. Supplemental Instruction Leaders provide academic learning support for students, which includes conducting supplemental instruction, tutoring students in classrooms and skill labs, and assisting with the daily operations of the college’s learning centers. Academic Coaches design individualized student-centered educational plans that lay the foundation for student success, assist students in making connections with appropriate student support services throughout the college district, and provide individual, small group, and whole class instruction on topics related to academic learning for students. Testing Technicians oversee student testing, which includes ensuring the integrity and security of the testing environment during the duration of examination period, as well as processing all tests and related documents according to best practice and departmental procedures. Customer Service Clerks provide information and scheduling for students, faculty and staff according to best practice and departmental procedures, as well as assist with the daily operations of the college's learning centers. 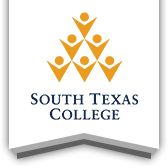 All full-time positions are listed on the South Texas College Careers page. To view any job postings for the Centers for Learning Excellence click the button below.